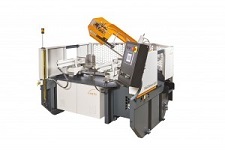 KASTO Maschinenbau GmbH & Co. KG was founded in 1844 and specialises in sawing and storage technology. With a history of more than 170 years it is one of the oldest family-owned businesses in Europe. Armin Stolzer has been the head of the company for nearly 30 years. He is the fifth generation of his Family leading the company and, only a few years ago, was joined by the sixth. 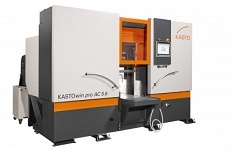 Under his management, KASTO has grown to become the market leader for metal sawing machines, semi-automatic and fully automatic storage systems, as well as automated handling equipment for metal bar stock, sheet metals and parts cut to size. This success is based on more than 170 patents and is impressively underlined by more than 140,000 sawing machines shipped and more than 1,900 automatic storage systems installed.